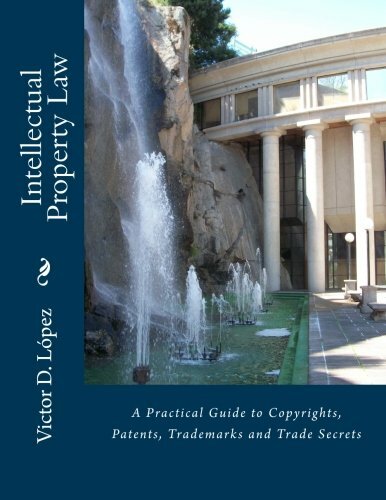 Intellectual Property Law: A Practical Guide to Copyrights, Patents, Trademarks and Trade Secrets [Brief excerpt from Chapter 1: A Brief Introduction to American Law] | Victor D. López, J.D., Esq. Before delving into the various aspects of intellectual property law that are the focus of this book, it would be useful to briefly explore some general background information about the unique nature of law in the United States that must be kept in mind by any lay person trying to obtain information about any substantive or procedural area of law. In order to understand our system of law and some of the unique challenges it presents for anyone seeking to acquire functional legal literacy, we should begin by understanding what makes our legal system different and more complex than that of most other nations. A good place to begin is with a brief introduction into the two major competing systems of law around the world, the civil law and common law systems. The oldest and overwhelmingly prevalent system of law is the civil law system that dates back more than four thousand years. Under the civil law system, law is passed down from the lawgiver (the king, or a legislative body) to the people and is strictly enforced by judges whose job it is to enforce the law. Traditionally under civil law systems, judges act as finders of fact and apply the law as written in deciding cases before them. They have little power to question, reverse, expand or define the law as they decide cases as that function is reserved to the lawgiver (e.g., the ruler or a legislative body appointed by the ruler to oversee that function). Traditionally, the civil law system required laws to be written down in a public place in clear language so that they could be understood by the common citizenry. The most famous comprehensive codification of law under this legal tradition dates back to the Code of Hammurabi, an ancient Babylonian king who ruled from approximately 1792 B.C. to 1750 B.C. in ancient Babylonia (modern day Iran). The Code of Hammurabi was chiseled on a massive cylindrical stone more than seven feet in height and contained 282 laws covering a variety of subjects. The Code was also available on clay tablets, some fragments of which also survived to this day. The stele containing the Code of Hammurabi or clay tablets containing the Code would have been available in strategic locations for public viewing so that Hammurabi’s subjects could know the law and be held accountable for its breach. The concept of chiseling the law onto stone is also a good metaphor for the permanence and immutable nature of law, which for Hammurabi was divinely inspired and intended to reflect universal, permanent ideals of justice. The same tradition of writing down the law and making it accessible to the people who were expected to abide by it continued under the Twelve Tables of Roman law where, in 450 B.C., twelve bronze tablets specifying a code of law applicable in the Roman Empire were attached to the orator’s platform on the Roman Forum in an attempt to make the law accessible to all Roman citizens. These bronze tablets would have been found around the orator’s platforms in any Roman city where the citizens of Rome could presumably consult the law throughout the empire. And the tradition was continued by the Byzantine Emperor Justinian I who in 533 A.D. integrated 1000 years of Roman law into a single code that he called Corpus Juris Civilis–the body of civil law—and is now commonly referred to as the Justinian Code. The most notable attempt in modern times to codify the law into a comprehensive civil code was carried out by a commission appointed by Napoleon Bonaparte in 1800 that resulted in the 1804 Code Civil, more commonly referred to as the Napoleonic Code. The common thread that binds the civil law tradition from its earliest roots through the modern day is the idea that the law must be written down and made available to the people in language that they can understand. Although much has changed since Hammurabi’s time, and the law has grown increasingly complex in civil law jurisdictions as well as common law jurisdictions, as a general rule, law still changes slowly over time in civil law jurisdictions, is more accessible, predictable and easier to understand in civil law jurisdictions than in common law jurisdictions. And as a rule, making law is still in the hands of legislators, not judges. The civil law tradition never took hold in England. Whether because of its status as an island nation or lack of strong unifying kings before being incorporated into the Roman Empire, law in England was regional in nature, changing from location to location in keeping with the local customs, traditions and wisher of the local rulers. After the fall of the Roman Empire, England returned to its common law roots. When William I (William the Conqueror) completed the Norman conquest of England in 1066, he found a country without a centralized system of law and set about to consolidate English law into a unified body of law that could be applied throughout the realm. He established the King’s Court (Curia Regis) as an advisory body to the barons. The court had both legislative and judicial powers that eventually led to the development of Parliament and the English court system. He also created the first circuit judge system, where royal judges traveled from district to district on a set route to hear cases in local courts. These circuit judges first began writing down their decisions to serve as guidelines for local magistrates and themselves in future cases. This tradition of writing down decisions to serve as guidelines, or precedent, for deciding future cases formed the basis for our modern common law system. Unlike civil law systems in which judges apply the law to cases before them, judges in common law systems make law as they decide cases, defining, creating and changing the common law in the course of handing down decisions that become precedent for other future cases. The English common law system was exported to the former British colonies, including The United States. While the rest of the world largely follows the civil law system, The United States and the former colonies of Great Britain generally follow the common law system. Also unlike judges in most civil law jurisdictions who generally have little power or discretion to interpret or nullify laws passed by legislative bodies, judges in the United States have a great deal of power to reinterpret or nullify the laws passed by federal and state legislative bodies based on their interpretation of the U.S. Constitution and the state constitutions. The above is a brief excerpt from Chapter 1 of Intellectual Property Law: A Practical Guide to Copyrights, Patents, Trademarks and Trade Secrets (C) 2011 Victor D. Lopez. All rights reserved.